How to paint your car. Part IV. It’s the Mummy! 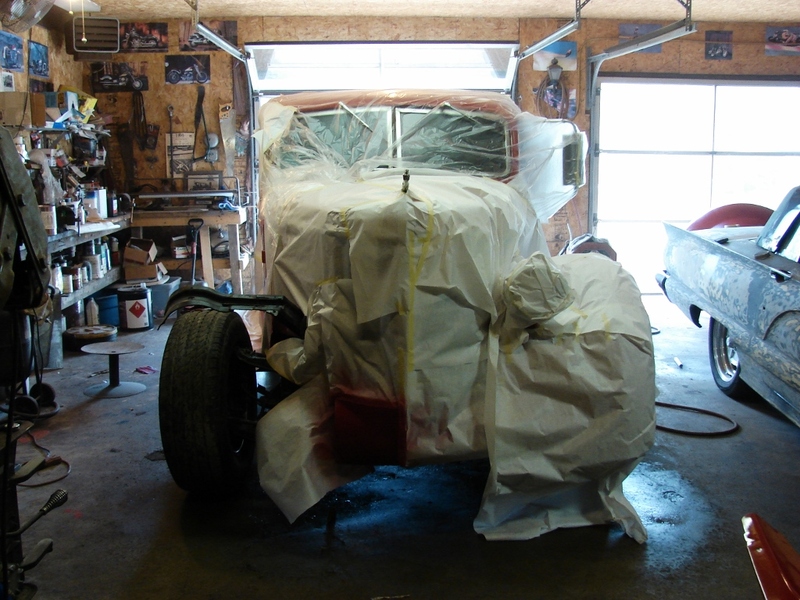 No, wait, it’s the Invisible Truck!, No, wait, it’s just the Diamond T swaddled in masking paper to repaint the damage caused by the Lokar neutral safety switch! After a VERY frustrating morning getting a quart of color (the body shop supply place who mixed the original paint is out of business, nobody now carries that line of paint, the code on the can wasn’t cross-referenced in ANYBODY’S chart, requiring me to go home, pull the tailgate, and have it scanned for color), but I finally started painting about 1:30. 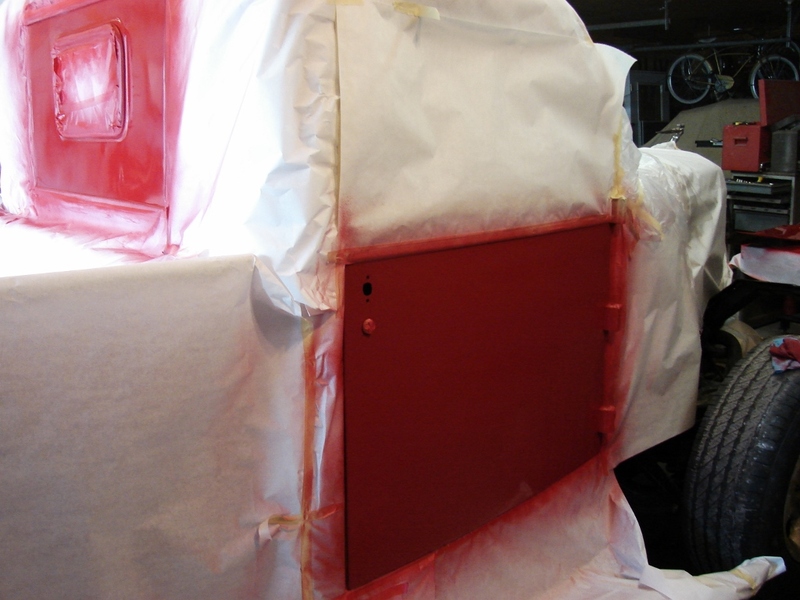 It went really well, or at least, until I got to the clear, when I hung a curtain in the fender. It’s OK, I laid plenty of clear on top so I’ll be able to sand it out and buff it (That’ll buff right out…), but otherwise everything looks great. Perfect match on the color, which, if I’d had the GM truck code I think it’s a 2005-6 color, probably wouldn’t have matched, as the color as scanned met NO existing formula. I got it now though. I spoke with the good folks at Hagerty between coats, and a check is in the mail for the damage. I’m VERY happy with that, and while I’d rather have not had to have done all this extra work, at least it’s covered. 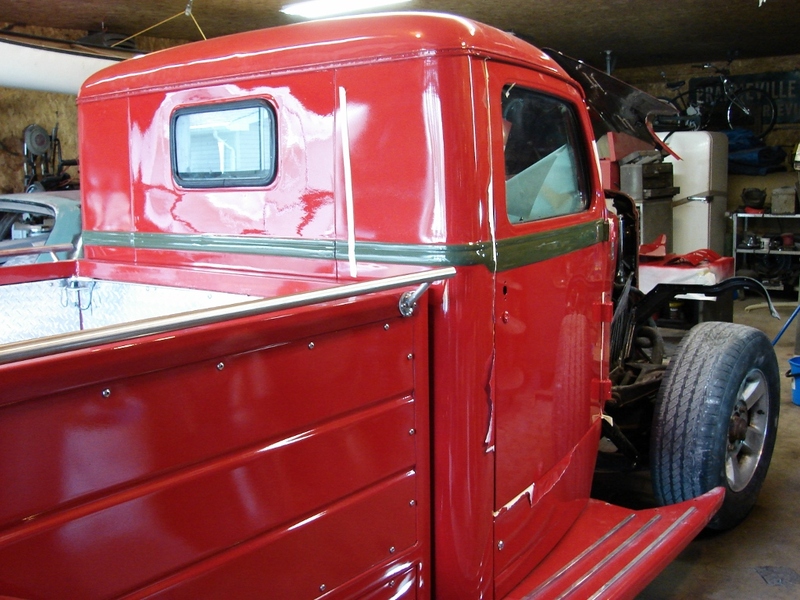 So, Thursday I hope to get it all put back together, and we’ll start driving it. 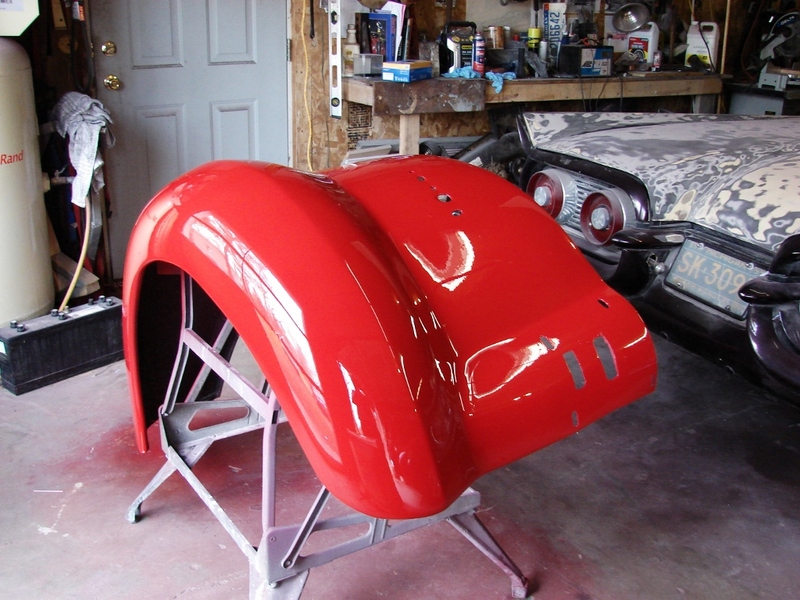 I can also sand and polish the fender, and get started on the rest. It’s all going to be OK.
SURE GLAD I joined your blog.. VERY WELL done.. Thanks David, I appreciate it! I’m not suffering in silence, thanks to the Interweb! good job .looks nice .glad it all worked out. 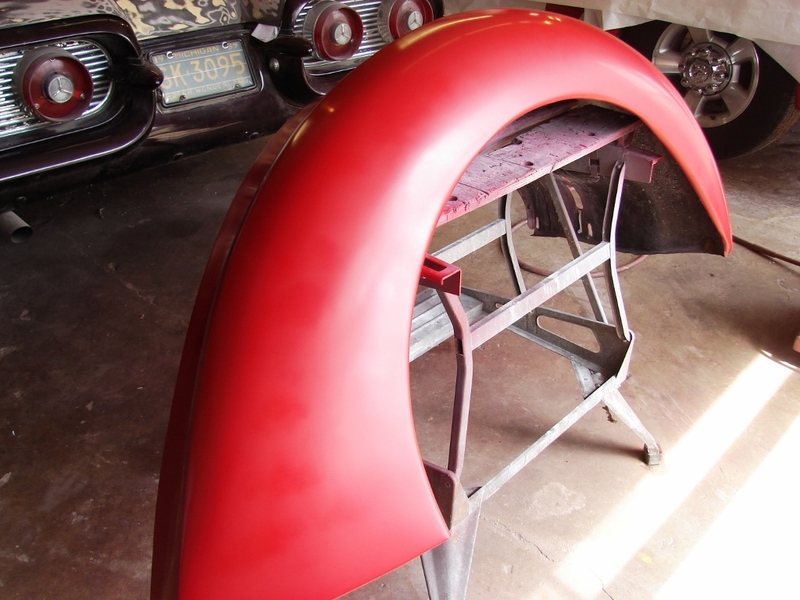 How to do basic bodywork, part III.